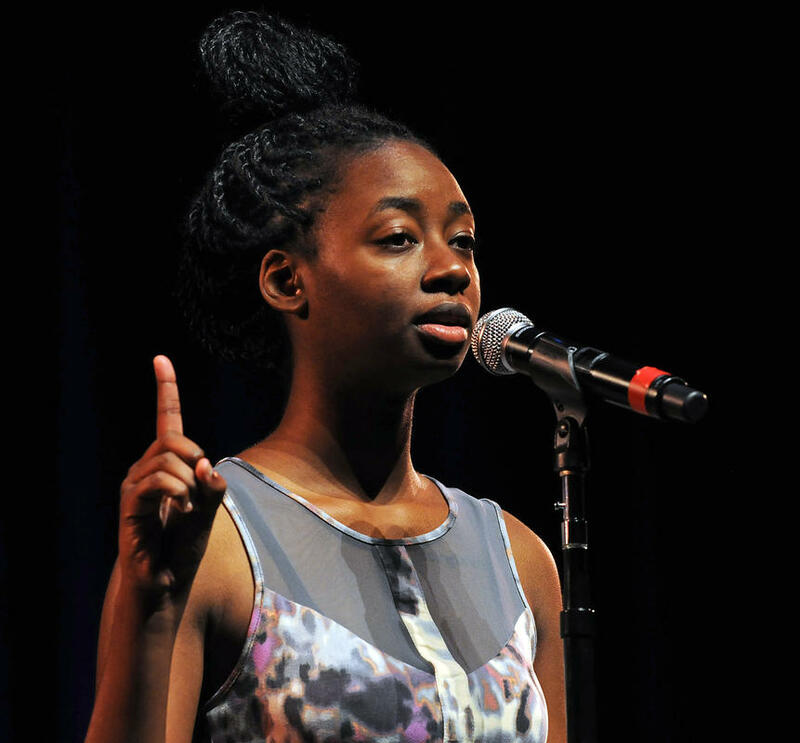 Tonya Ingram is the 2011 New York Knicks Poetry Slam champion, a member and co-founder of NYU’s poetry slam team, a member of the 2011 Urban Word–NYC team and the 2013 Nuyorican Grand Slam team. She is the author of Growl and Snare. Her work has traveled to Ghana, California, Michigan, Massachusetts, Washington D.C., New York, The Literary Bohemian, and Youtube. She is a New York University alumna, a Cincinnati native, a Bronx-bred introvert, and a hopeful Los Angeles flower-child, where she is pursuing her MFA in Public Practice at Otis College of Art & Design.